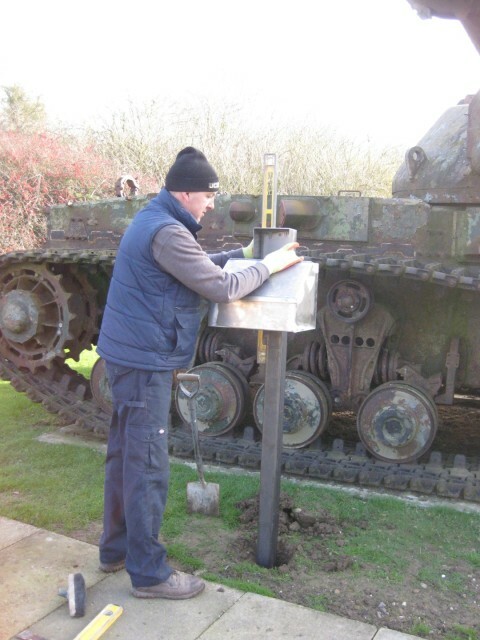 The Wheatcroft Collections founder, Kevin Wheatcroft has been planning for a long time to recreate a ‘tank bank’ as became so popular after the First World War. The candidate for this memorial is a post war British Conqueror that Kevin purchased specifically for this purpose; he has even renamed his offices Conqueror House in tribute. 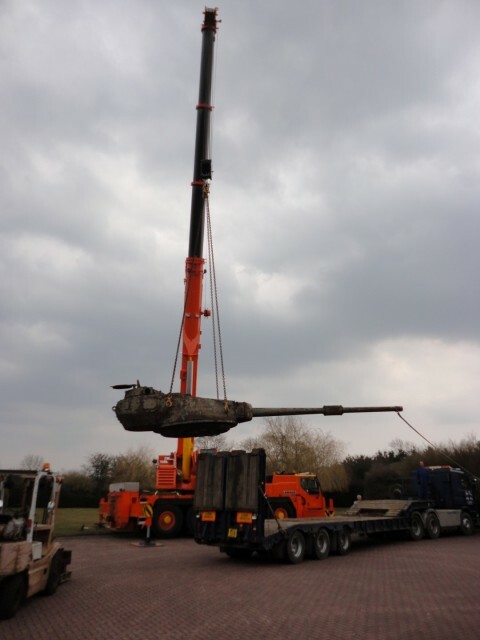 The pictures show the unloading of the Conqueror onto a specially constructed concrete plinth, with a slabbed walk way to a flag pole and a donations tin. 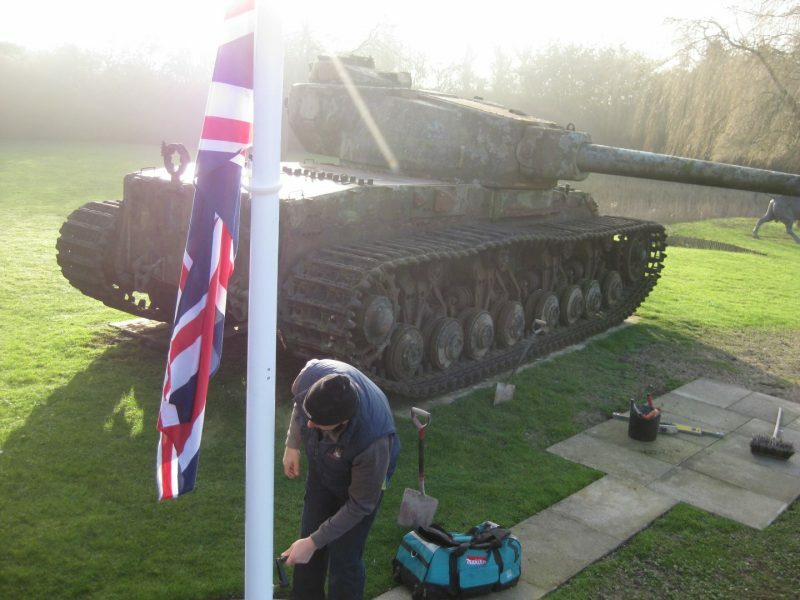 We are currently waiting for the weather to improve before sand blasting, painting the tank, and the application of a bronze plaque dedicating this tank and all donations, to a group of military charities that the Wheatcroft Collection supports such as; Help for Heroes; Mission Motorsport, Royal British Legion etc. All invited visitors to the Wheatcroft Collection’s offices and workshops will be asked to make a small donation. These will be collated annually and distributed to the various military charities. 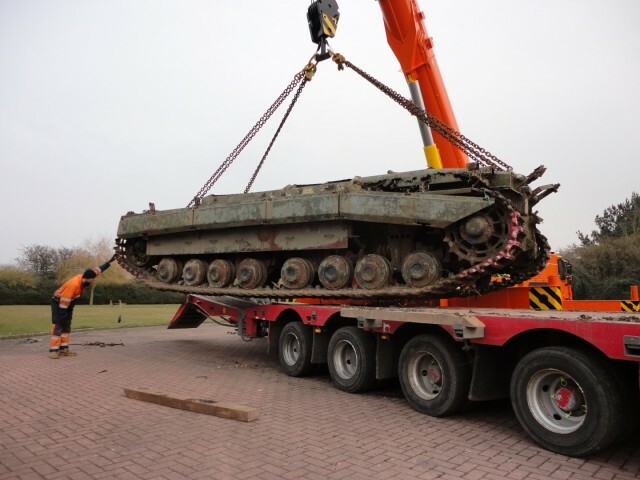 The Collections owner Kevin Wheatcroft comments ‘It has long been my desire to use the Wheatcroft Collection to raise funds for our wounded soldiers throughout the various conflicts, and something I am immensely proud to be able to do. This has long been in the planning, there is a serious amount of work done and still to be done before its completion early this summer. 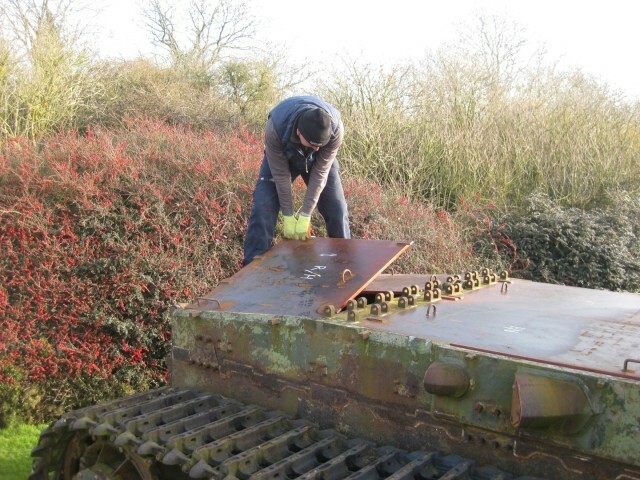 The final touches will be the setting of 1000 poppies around the tank’. 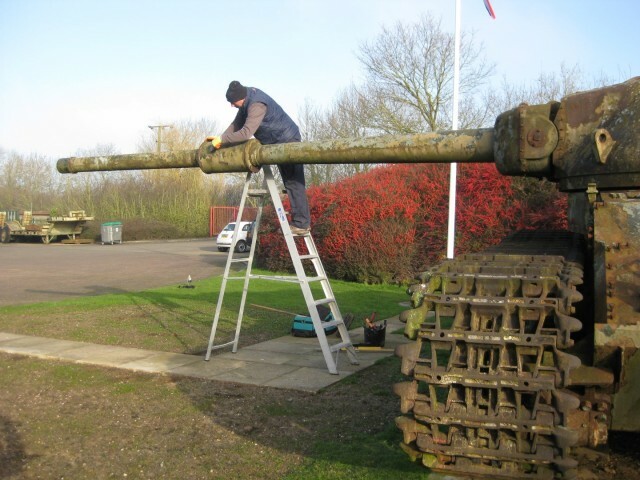 The Wheatcroft Collection in the United Kingdom is a large and important collection of historical soft skin and armoured military vehicles. It is one of the largest private collection of military vehicles in the world.